Tomorrow Valencia CF will meet AC Milan at the Mestalla stadium in a preseason tournament that includes the likes of Real Madrid, Juventus, Chelsea FC, etc... This will be the first match of the tournament and in order for Valencia CF to go through they would need to beat AC Milan as its an elimination tournament, instead of group stages and should Valencia CF win they will face the winner of the match between Chelsea FC and Inter Milan. The previous three preseason friendlies didn't go Valencia's way even even though one may say the new coach Djukic was testing stuff and trying out different strategies, its still negative to loose or only manage to draw especially against considerably weaker opponents. 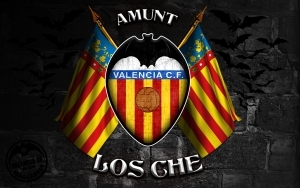 Tomorrow night is the important test though and we'll see how good or bad Valencia CF really is. We'll see if this team can compete for Champions League spot or if the team is doomed to being mediocre with the terrible financial situation it is in. Of course if Roberto Soldado is sold in the next couple of days, that would be another big blow to Valencia CF who so far has failed to bring in any really solid reinforcement to an already quite weak team, that only managed Europa league last season. So losing Soldado would be huge and something the team may not recover from, especially since he is one of the best strikers out there, certainly in the top 10 in the world and a very experienced striker at that as well. I don't know what to expect from the match, the coach has said he will field a strong starting eleven and won't make too many changes in the course of the match, so I'm expecting them to play 100% to their ability, the question is, is that good enough? If I had to analyse things the team is pretty much the same from last year, with Albelda and Tino leaving, while Javi Fuego and Michel arriving, I think its a decent exchange of players that doesn't make us weaker, as Javi Fuego even though he lacks experience, he is younger than Albelda and can give us more in terms of field coverage and playing time. From the strikers only Nelson Valdez left and we may be lacking a ready replacement for Soldado, but at some point we either have to trust in Paco or just sell him or loan him again. So I'd say we are quite equal in terms of skill, question is whether that is enough and if the team can actually challenge the bigger teams.